If you’re looking for a gift that’s fun to give, absolutely amusing to watch someone receive it, and then continue to be a talking (or show-off) piece even after the party’s over, then you have to take a look at this Japanese puzzle box. 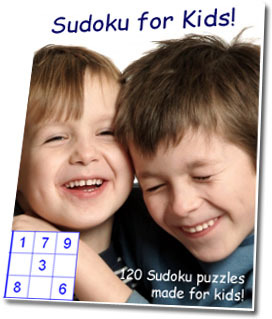 It really is the ultimate gift for any kid (or adult for that matter) who just loves a challenge. To be honest, I don’t even know how I came across these wooden puzzles boxes. I do remember a couple of years ago when my brother-in-law gave my son a clear little plastic box that was completely sealed with a $50 note folded up inside. The challenge of course was to get the coveted money without breaking the box. The ultimate “escape room” toy. Now my son is the ultimate puzzler and loves a challenge, so enter Brother-in-Law -> he who has made it his mission to find THE ultimate gift that will stump my son. It hasn’t happened yet and to this day, brother-in-law searches high and low as he continues his quest. Although, in the interim, he has satisfied himself that as long as the puzzle can last more than half an hour unsolved, then he has succeed…somewhat. But back to this Japanese puzzle box. My son received this from Santa last Christmas and I guess what brother-in-law couldn’t achieve, Santa definitely succeeded with flying colors. My son was stumped! And since Santa didn’t leave any instructions, my determined boy had to go online and do some digging. Unfortunately, hubby and I were no help at all since we knew nothing about this strange looking box. But he persevered and once he found out what this box was and how it worked, he was just beside himself! He absolutely loved it and to this day, continues to show it off to his friends who all want one – no kidding! Even the ones who aren’t into puzzles couldn’t resist this intriguing, mysterious looking box that holds who-knows-what secret. 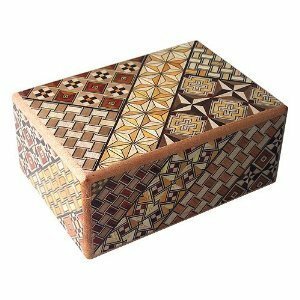 The particular box referenced in the video is the Himitsu Bako Japanese Puzzle Box. These boxes are beautifully handcrafted in the traditional Himitsu Bako style and they are described by size and number of steps to solve it. For example, this one is “4 sun 12.” So the “sun” is a rough measurement in inches, in this case, it is about 4.8″ and 12 steps to solve. However, they can go as large as about 7 sun and 125 steps to solve. Can you imagine? 125 steps! Because the box isn’t see through like that money box I was talking about, I would suggest putting a little trinket inside just so it peaks the curiosity and interest of the recipient. Think about it – a mysterious (almost ancient) looking box with no apparent opening and something strange rattling inside? Who wouldn’t be intrigued? Am I right? Techozoic 2.1.1 by Jeremy Clark. | 37 mySQL queries in 0.339 seconds.